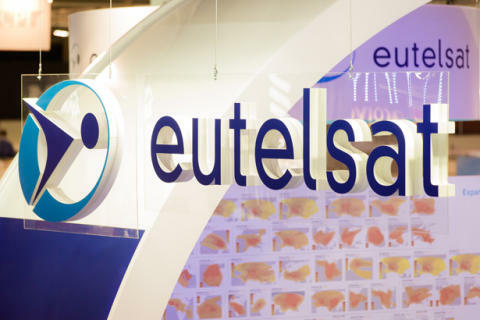 Amsterdam, Paris, 7 September 2016 – Some of the innovations that Eutelsat Communications (NYSE Euronext Paris: ETL) is displaying at this year’s IBC include the latest in Ultra HD broadcasting, newly-launched solutions for satellite delivery of IP-native content, and smart ways to navigate through the exceptional line-up of channels broadcast from the popular HOTBIRD video neighbourhood. Eutelsat’s strategy since Ultra HD blazed a trail three years ago has been to support customers as they embrace the race to broadcasting the highest image quality. Our expertise in Ultra HD has been honed through multiple transmissions of sports and cultural events that culminated this year in live broadcasts with Italy’s RAI of Euro2016 matches for Tivusat homes. Leading broadcasters, including the Franco-German ARTE and German pubcaster ZDF have worked closely with Eutelsat to produce exclusive content and showcase it on the HOTBIRD 4K1 channel available across Europe from the HOT BIRD position. Eutelsat is now taking the next step with the launch of an Ultra HD channel showing HDR (High Dynamic Range) content using HLG (Hybrid Log-Gamma) technology, the HDR standard developed by the BBC and NHK. Called “HOTBIRD 4k2 HDR”, the new channel will broadcast across Europe from the flagship HOTBIRD neighbourhood. High Dynamic Range (HDR) television creates richer and more dynamic images by increasing the contrast ratio between the lightest and darkest areas of the screen and increasing the volume of colours displayed. The result is a picture rich in detail, with colours that surge from the screen, generating a strong feeling of realism. How to help broadcasters extend their reach to consumer mobile devices in areas not served by terrestrial networks? That was the challenge picked up by Eutelsat and addressed with SmartBeam. Eutelsat’s new multi-screen video delivery solution leverages the inherent strength of satellites for broadcasting to help content providers deliver tailored free-to-air or encrypted content to mobile phones and tablets with a guaranteed level of quality and flat distribution costs. SmartBeam offers consumers the possibility to receive content in public venues by downloading a user-friendly app on mobile devices (smartphones, tablets using Android or iOS). 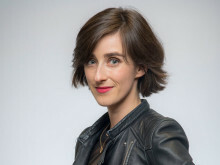 They can pick up channels in high-quality via a local Wi-Fi network connected to a compact low-cost satellite box that receives content direct from a Eutelsat satellite. Russia’s Tricolor TV, one of the fastest-growing pay-TV platforms has already selected SmartBeam to extend its relationship with users by delivering DRM protected content to public venues (hotels, shopping centres, airport lounges, medical centres…) with no dependency on terrestrial networks. Sat.tv is a personalised TV guide covering over 300 free-to-air channels on HOTBIRD. It is designed to enhance the free-to-air viewing experience for consumers and increase broadcaster engagement with their audience. Broadcasters can enter programme schedules and information that are displayed real-time through the app. Viewers benefit from a user-friendly EPG interface available in five languages (English, French, Russian, Italian, Arabic) and can access programme details in up to 40 languages. Four months since launch the app has been downloaded over 600,000 times, showing a high level of interest among HOTBIRD viewers. Three major firsts in Ultra HD broadcasting will be discussed by experts from Eutelsat, Sky Deutschland, BT Sport, Sony Professional Solutions Europe, NHK and the Ultra HD Forum: they include the use of Ultra HD by the Vatican for the first worldwide HDR satellite transmission of a major ceremony. While the technologists are battling over the technical details of UHD formats, who is thinking about the business case? In this age of mobile consumption and device fragmentation, will audiences appreciate the benefits of further resolution or will they just wait until UHD becomes the new HD at the same price point?